TOPS printing services available on Birchstreet for Best western properties. Make TOPS your one-stop for Birchstreet hotel room printing services. 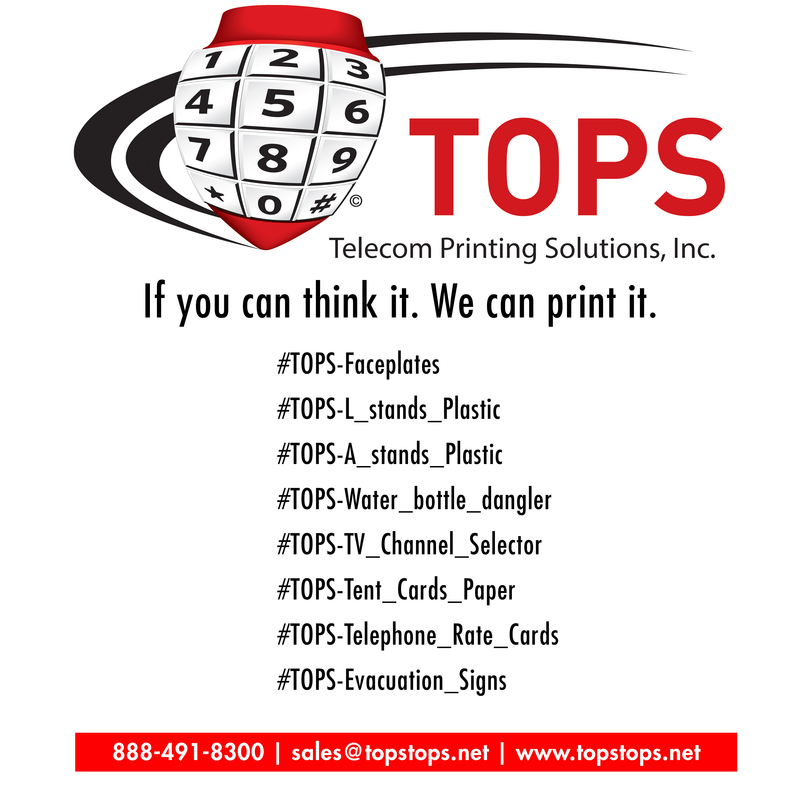 If you can think it, TOPS can print it! Our talented staff of designers and production professionals have over 25 years experience in printing hotel telephone faceplates and hotel room printing solutions, and we're here to help you bring your ideas to life in print. We appreciate the opportunity to work with you on your next printing project. Please complete and submit the form to ask a question, share a comment, opt-in for updates, or to request a quotation.